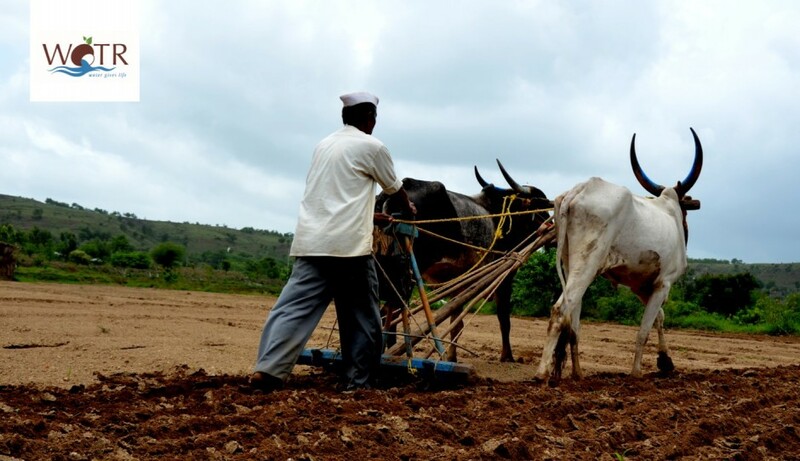 This the second blogpost of the series on Water Budgeting in Telangana carried out in 7 Gram Panchayats (GP) of Rangareddy and Nagaurkurnool districts and their neighbouring hamlets. The water budgets of these villages revealed some startling facts. This region has received low rainfall since the past three years, inspite of that, farmers took water intensive crops and livestock production during irrigation. However, the very high water deficit figures that emerged from the calculation shocked all participants. With the aim of “co-production of knowledge and learning to stimulate behavioral and institutional change, towards the management of water at village level” workshops were conducted in each GP and their hamlets.he key objectives of the workshop were to understand the following points: a) What is a Water Budget and how a village water budget is calculated? (b) How to arrive at values for “Water Deficit” and “Water Surplus” at village level? (d) To understand water wastage due to mismanagement and / or lack of knowledge. In this report, we provide an overview of the proceedings of the first Transformative Scenario Planning (TSP) workshop titled ‘Water Situation in Rural Jalna in 2030: For Domestic and Livelihood Needs’ convened by Watershed Organisation Trust, on 18th and 19th September 2017 at Krushi Vidnyan Kendra, Jalna. The workshop was conducted in the local language (Marathi). Natural forces such as drought do not discriminate between marginal communities and the urban population. As a result you see the unprecedented scenes of Cape Town facing a severe water crisis and on the brink of a catastrophic Day Zero scenario. The problem with the changing climate is that humanity, as a whole, is going to face situations which we have no prior experience in confronting. With such an unpredictable future in front of us, the most vulnerable communities need to be equipped first and foremost to prevent a domino effect leading to systemic failure. In the drought-stricken Marathawada region of Maharashtra, where the water dynamics are extremely complicated, WOTR has taken up the mantle to create resilient communities who are able to deal with the widespread problems of water scarcity. Through its flagship Water Stewardship program, it aims to bring a strong sense of ownership among the stakeholders about the extent of the problem and promote collective action over individualistic approaches. It puts the onus of solving the problem on the community itself thereby reducing the dependence on unsustainable practices. The Maharashtra Groundwater (Development and Management) Act 2009 presents an answer to some of the state’s water scarcity woes and is an important step towards sustainable groundwater management in the State. However, the institutional structure put forth by the Act is unwieldy and poorly outlined. There is a need for innovative institutional designs that would enable operationalization of this act. Given the informational and knowledge requirements for understanding groundwater, coupled with the challenges of mobilizing support for its sustainable management , there is a need to create a cadre of “jalsevaks”. These jalsevaks will work with communities to demystify groundwater, and navigate the complex socio-political terrain in order to arrive at more equitable and sustainable outcomes.